Tolu Akanni describes himself as "a visionary and dynamic youth with a rare and unique passion sent on a mission to bring out the best in people to the end of seeing men live up to their full capacity." He is a blogger I first encountered through his place at El Fiz Concept. I liked his writing style and his drive to succeed in his business seeing that he was also a student at the same time. Since then he has started another blog Lobby Experience, where he chronicles his daily experience 100 days to his graduation. He also plans to publish a book titled "A-Z of Life Lessons" from his life so far. The book will be launched in Lagos on July 9, 2010 at Terra Kulture in Victoria Island. - When and why did you begin writing? I started writing March 2009. This was a time when people were writing "25 things about me" on Facebook. I chose to write mine from a different perspective, so I did "A-Z of school: 26 things that made school life fun in our days" a piece that focused on my primary and secondary school experience. - When did you first consider yourself a writer? I saw a writer in myself when I started having up to 40comments on my Facebook notes with people asking for more. In fact, the editor-in-chief of Mitre Magazine, Mr Olumide Aregbesola featured that "A-Z of school" in the premiere edition of the magazine that was published August 2009. - What inspired you to write your book? I started writing in my internship days, and when I got back to school I took hold of my transcripts and I realised I had missed out of the 'first class honours' train and having straight 'A's in my 2 concluding semesters won't get me there. Having it at the back of my mind that I had fallen short of the promise I made to my father and myself, I sought out for a leverage, I knew there was success in me, but that conviction wasn't enough, I had to prove myself to my world, I needed to build a resume that would speak for itself. As at that time I had my articles published in 2 magazines, I was a creative writer for Skye High, I was on the board of Mitre magazine, I was running a blog (http://el-fiz.blogspot.com), 'Tolu Fiz Akanee' had become a household name on Facebook for publishing captivating notes. Taking my writing to the next level was one thing I could hold on to. Yes!! My writing style is a complete departure from the conventional. I like to write like I'm having a casual conversation with the reader. I enjoy being random and I like publishing my text in short hand. So my style is freestyle. - How did you come up with the title? 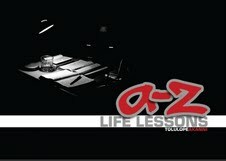 The 'A-Z' thing was already my brand, so since the book focuses on my experiences within a period of time in my life, 'A-Z life lessons' came up. - Is there a message in your novel that you want readers to grasp? My writing skills was birth out of hours of discomfort in the Lagos combi commuter bus a.k.a Danfo during my internship days, and this book is simply a compilation of articles that were written at such moments. Life is meant to be enjoyed. Momentary discomfort is allowed, it is what you make out of it that counts! - If you had to choose, which writer would you consider a mentor? I'm running my consultancy outfit: El Fiz Concept. El Fiz Concept is all about brands, events, business consultancy and concept development. I'm on the executive board of Mitre magazine. I'm working on a monthly poetry show 'An evening with the poet' under the hospice of El Fiz events in partnership with Restruct Consults. - Name one entity that you feel supported you outside of family members. Skye high summer 2009 session was a major turning point in my writing career, that's where I met my coach in the school of writing, Mr 'Yinka Adeleke. - Do you see writing as a career? I won't stop writing till I draw my last breath. Writing is a form of relaxation to me, it's something I fall back to after my regular career day. So writing is more of a part-time career for me. - Can you share a little of your book with us? The book makes you appreciate the undiluted thoughts of a 21st century 20year old. Appealing to all audience that appreciate 'youthfulness', It is a product of a selection from my 365day old archive, and it goes a long way in reflecting my multifaceted experience within that period of time. I also have contributing chapters from friends who were with me those 365days. It's a blend of poetry, short stories and motivational text; it enjoys a quality blend of photography with each chapter having its unique pictorial expression. It speaks of comfort and discomfort, it speaks about the constant and the constantly changing, it talks about our everyday lives. It's a book you would want to read, keep and re-read. Keeping up with delivery standards. There are things I write and people love and appreciate it so much that I find myself doubting if the next will keep up to standards or even beat the last. Leke Alder. He's the smartest and deepest author I've ever come across, his concepts are out of this world and his delivery is simply unique. - Who designed the covers? Photography was done by Mr 'Wale Adenuga of Unlimited works. - What was the hardest part of writing your book? I did the writings over time, so the main task was developing a unique concept for a compilation, and finding a graphics designer to bring it to life. I want to appreciate Mr Ade, he brought out the beauty of the book like he was sitted right there in my mind. - Did you learn anything from writing your book and what was it? My life is defined by influence, I'm a product of influence, if I had not had the privilege of meeting the members of my creativity team, there would have been no book! 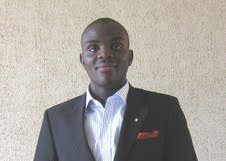 First it was 'Jaye Aderounmu of Restruct consult who impressed it on me that my compilations were publication worthy. Then Omoge black took the photography to the next level, Dupe Macaulay of Tecknicoleur designs was a major plus to the team. Lesson learnt: you can't rise above the level of your association. Tap into networking. - Do you have any advice for other writers? Be dissatisfied with your current position, surprise yourself then your world will be equally surprised.